Why are Nigerians talking about Anthony Joshua a.k.a AJ all of a sudden? Why are they just realizing now that he is a “Nigerian Prince”? Everyone, from prominent men of God, to government officials, is falling over themselves to get his attention or attach themselves to him. The Ogun State government is reportedly even set to name the Sagamu International stadium and a street after him. Where were all these people when he was denied the chance to represent Nigeria? Where were they when he was keen to represent the country at the 2008 Olympics? He is crowned heavyweight champion of the world and now a worldwide sensation, so he is now Nigeria’s most celebrated sports hero. Had Nigeria not blessed him with their unique food, specifically Eba and Egusi, he would not have made it…yes? This is not to play down AJ’s awesome victory or say that he does not deserve all the attention and acclaim he is getting from around the world, or even just Nigeria. He certainly deserves all that and more. Actually, the fact that he is still willing to identify with his Nigerian roots is absolutely amazing and deeply honorable. Nigerians, on the other hand, should be ashamed of their blatant display of hypocrisy. What lessons are they teaching the youth in the society by their obvious trend of only recognizing and applauding Nigerians, especially those in diaspora, when they have achieved a feat or when they are substantially successful? Yet we wonder why there is a brain drain and all the young bright minds are looking for a way to leave the country. Do you reckon Chimamanda Ngozi Adichie, possibly the greatest writer of our time, would have been known around the world had she completed her university education and pursued her passion for writing here in Nigeria? Even if she did succeed to become a writer while in Nigeria, do you think Nigerians would put her on the pedestal they have her on today? How about the Visual artist and singer Laolu Senbanjo who was struggling in Abuja for a long while before moving to America? It was not until he collaborated with Beyonce and gained world recognition that Nigerians started to attach themselves to him, referring to him as the “Nigeria’s born American King of Visual Arts”. 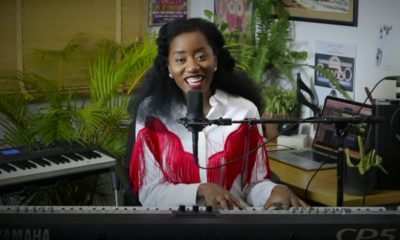 Then there are the musicians like Asa, and Nneka; how many afro soul musicians make it in Nigeria? Take them abroad, and once they are endorsed by the West, Nigeria suddenly embraces them. What is it with Nigeria and this attitude really? Why can Nigeria not invest in their citizens or give them the support they need to become successful persons in the future, rather than wait for other countries to give them the opportunities they were denied in their country. We only try and reclaim them after they have reached their full potential and achieved success. Let’s do better. Put structures in place to encourage the growth and success of Nigerians. Nigerians, patronise home grown talent and businesses. Let’s start shining the light from inside… OUT! So true and it’s so annoying. Biggest hypocrites ever. Nonesense! 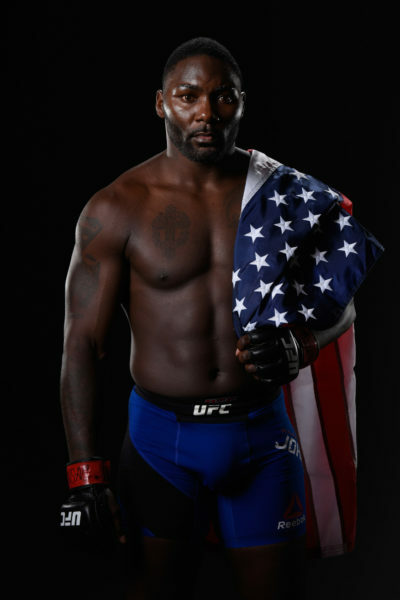 Interesting write up… This picture is of Anthony “Rumble” Johnson though and not Anthony Joshua. To be fair, it’s not in all cases. E.g. 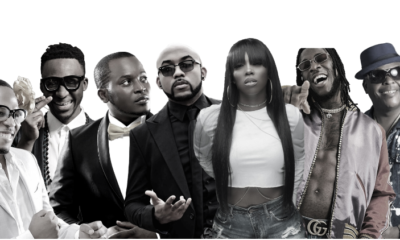 TuFace, PSquare, Tiwa Savage, WizKid and others are respected here in Nigeria and beyond, and they began their success story here. But as they say, Success has many fathers….. I totally agree with the points raised in this article. I see it everyday. In fact, even Bellanaija.com is guilty of the same thing. The writeups or folks interviewed are preferably those who have “already made it”. What does that even mean? There are distinguished Nigerians in the diaspora doing amazing things that should be applauded. Yet, if that person has not yet been interviewed on CNN or BBC, there is no interest in showcasing their story. The entertainment industry is all about fame and not necessarily bringing Africa more into development. Yet, it is lifted up so much more than engineering or medicine or the like. Nigerians need to do better and platforms like bellanaija.com should also do the same. Thanks for this insightful writeup. What if there was a platform that recognizes achievements of Nigerian-American and their contributions to society? and bellanaija is guilty of this as well… ordinary asoebibella or proposals that you’re tagged on, you can’t repost…because maybe they aren’t ‘posh’ enough based on your ‘standards’ but y’all be reposting those of peeps in diaspora that you weren’t even tagged. Unfortunately, as much as I love my BN, I have to agree with this. I recall when my work which glorified Nigeria was published on an international platform in 2015 and I reached out to BN with the hope that it’ll be showcased. I got no response. And then BN was published on that same platform and saw what a big deal it was and proceeded to shout it out to the highest heavens. I didn’t connect my mail to BN to myself as Bleed Blue, someone said maybe I should have, as per I might get some small recognition from my “frequent commenter miles” I’ve built here over the years…but was it supposed to matter? BN, the thing pained me oh, make I no lie. But I have to respect your right to freedom of choice. How I for do na? Why does the writer of this article have another person’s picture up there as Anthony Joshua? Anthony Joshua is younger and lighter than this. Thus is very poor journalism. The article is not about Anthony Joshua and it is not indicated anywhere that the image up there is that of Anthony Joshua. @ Look, the picture was clearly a mistake. Anthony “Rumble” Johnson is an American MMA fighter who recently lost his challenge for the UFC light heavyweight title. What does his picture have to do with people trying to associate with success? Finally Nkem has changed that picture. The other day I asked my husband this question. I don’t understand why all of a sudden we now identify with Anthony Joshua. Why didn’t we identify with him before now? After the fame, the famzing starts. SMH. Before nko? All these people sef. You want us to recognize you, you better have something to show. Let’s be honest fellows. If you are expecting recognition for doing so little in life, like that ordinary 9 to 5 you’ve been clocking regularly since Achebe wrote Things Fall Apart, you may to wait till eternity, bros. Go play for Barcelona, or collect a PHd in Astrophysics at 23years and see whether we won’t come knocking. Oh, and before we get confused here, making a few million naira from deceitful online solicitations is not one of those “achievements” we are going to be celebrating. This is a pointless article! Success has many friends! AJ is in demand worldwide now because of his achievements! Even the Americans are begging to promote him! He is a quarter Irish and the Irish too are boasting! AJ is NOT complaining , go see his Nigerian Tattoo. He has a yoruba mum he loves so much! so please! He even had the Nigerian flag in the ring on the 29th of April! Bellanaija repent! You guys are also guilty of this, REPENT! 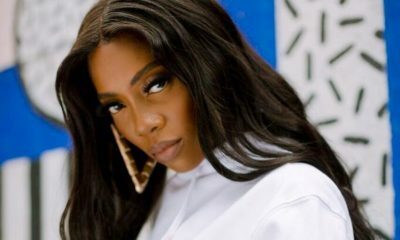 Bella ure as guilty as the others….people are outdoing themselves just to get u to repost their wedding proposals or Weddin stories…them no dey do wedding for egbeda abi ikorodu…always proposing in dubia,US,Uk …no Ojuelegba or yaba proposals …smh.. Unfortunately Nigerians don’t support each other. When they see their friends starting a business, they hate, gossip, and sabotage. The moment the business picks up, the same people are all up in your business and want to copy or attach. I am tired of my naija people and their hypocrite like behavior. I did not read the content but the caption is so true and the irony is these people are not eager to embrace Nigeria & are more anything else than a Nigerian. You will meet an individual with a Nigerian tribal first middle and last name and they will tell you my dad is Nigerian but I am American or from space, that’s the truth. In the end from a smart/business angle they will accept the honour thrust on them by their roots further propelling them while the soil ignores those who have been with them. Our appreciation for anything foreign sha…. What’s a picture of Rumble Johnson holding an American flag got to do with this article?